This week’s premium design resource for Access All Areas members is a brilliant collection of wall sign mockup templates courtesy of Madebyvadim. These mockups take your logo designs and brand concepts to the next level by allowing you to simulate them as fully fitted facades on the front of buildings. Each PSD template contains a Smart Object that can be easily updated with your own art, just drop in your logo and the adjustments are made automatically for a perfect fit. The Hip Shop by Madebyvadim is the place to find unique mock-ups and photos for your next project. There’s a vast range of templates available to simulate your work on notebooks, picture frames, digital devices and desktop scenes, all beautifully captured with vintage tones. The vast range of rare items and chic environments make Vadim’s products extremely valuable, as these are objects many of us don’t have easy access to. Access All Areas members can now download this collection of 25 mockup templates as part of their membership. Each file contains a high resolution photograph of a building with a mix of contemporary and vintage sign styles. Edit the Smart Object layer to have your own artwork applied directly to the facade, with all adjustments and transformations made automatically. 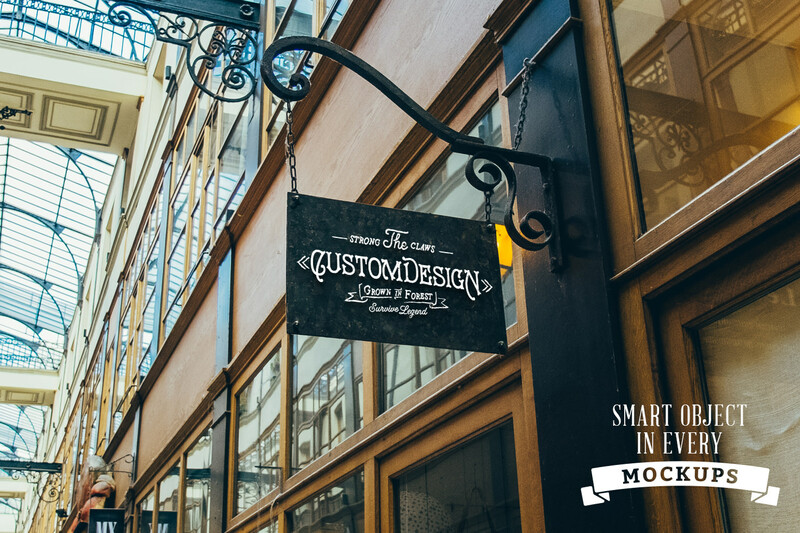 These mockups are perfect for wowing your clients with your brand concepts, or for simply boosting the credibility of the designs in your portfolio with examples of how they could look in the real world (who’s to know they’re not real?!). It really works! I used Save as and experimented, showing and not showing the ‘white’ … the file size is like half the size. I was amazed at that tip too! I’ll have to remember to make use of it in my own resources. These are awesome! I really like Vadim’s work! It’s very well done and professional-looking! Thanks for sharing these awesome wall sign mockups. Which one would better suit a bar sign?